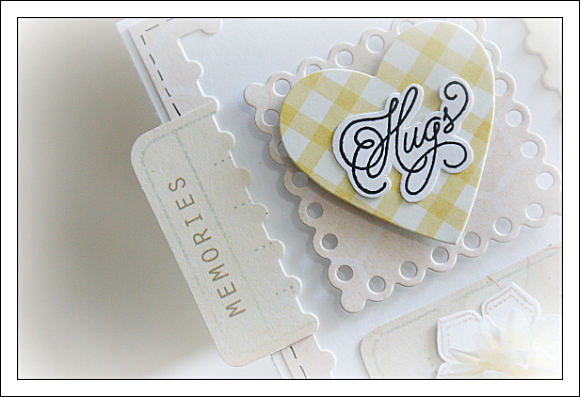 I looooove both of the stamp sets I am featuring today, especially because both feature stitched elements! 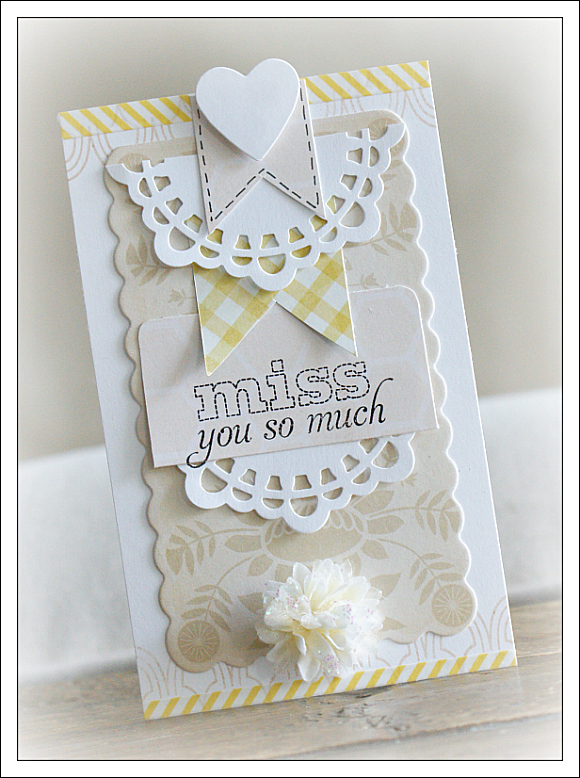 First up, a lovely set designed by Nina B, Stitched Sentiments! 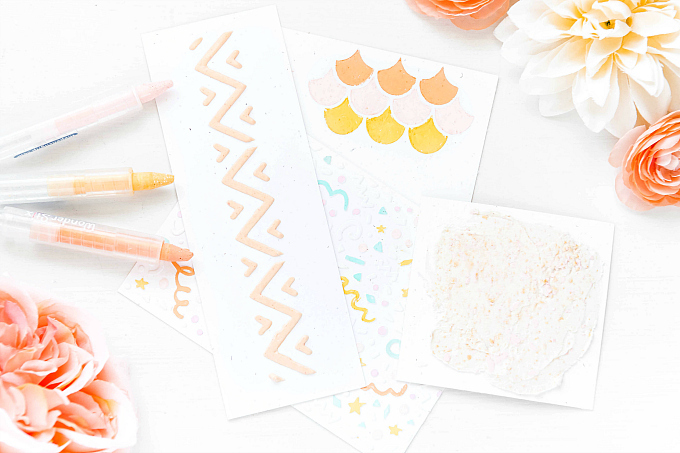 I have a feeling these will become my new 'regularly used' stamp set! Lately, I've been so busy, and a lot of the friends that I normally see rather frequently, I feel I've really neglected. Not only do I feel like an awful friend for doing so, but I genuinely miss the fun times and our visits...Not being able to have time for visiting has been somewhat of an adjustment for me. It was so perfect when I saw the lovely Stitched Sentiments, and the 'miss you so much' note. It had my hamster wheel turning right away! 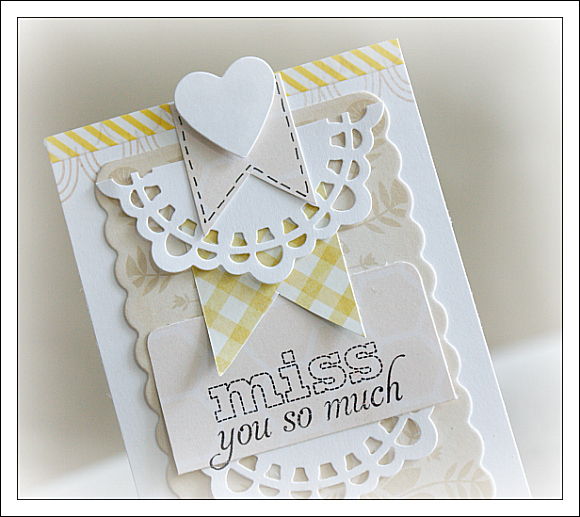 I really love the font in this stamp set and all the other sweet sentiments. 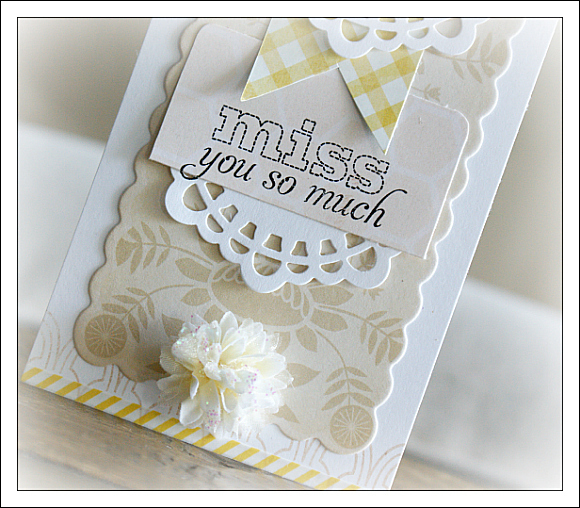 I also think that the size of the sentiments is perfect for card making. Not too little, not too big. Just perfect! This set is definitely a keeper & is going in my fave pile! 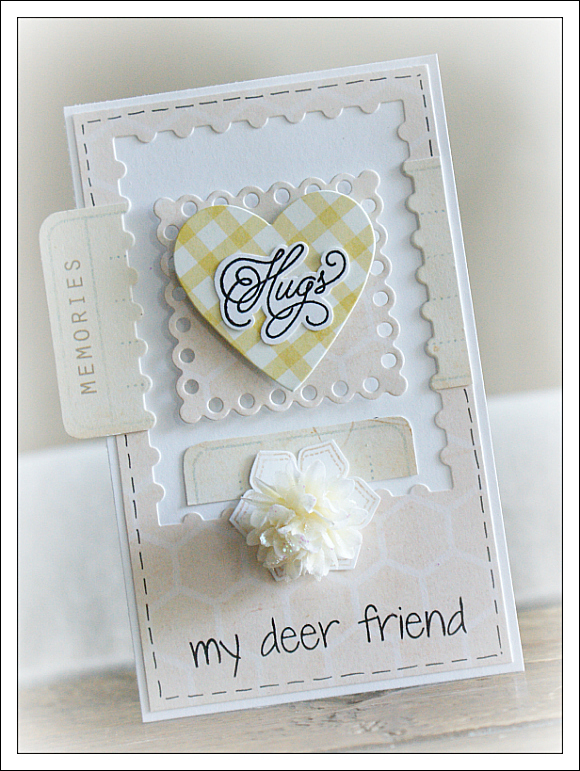 I finished off the card with some chevron striped tape at the top and bottom, to tie in the yellow accents. For this card, I incorporated the stitched flower just underneath the fluffy Prima flower. 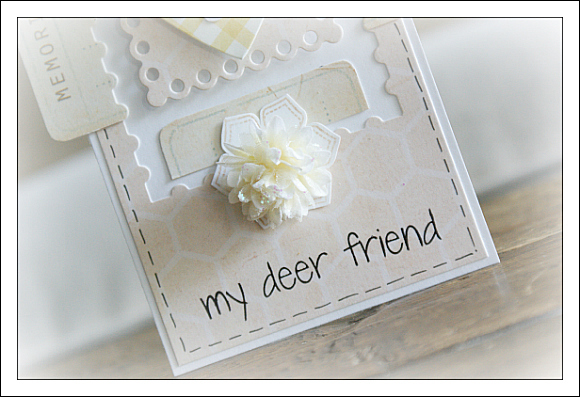 I also added a sentiment from the Oh Deer stamp set. I love that this set comes with plenty of options for stitched flowers. Whether you keep them the way the are, or cut the flowers from the stems, you have so many options for larger and smaller flowers. I am excited to try the flowers in some of my scrapbook layouts, where I can create layers upon layers of stitched flowers. The other super awesome thing that I love about these flowers, is their button centers!!! You can't see it in the picture above, but if you check the stamp set out here, you will see all the button gloriousness! So that is it for today friends. I am back again tomorrow with more! Ivana, I just had to let you know just how beautiful your work is. I just love how you pair light, soft colors and simple elements to create such beautiful work, that makes such a GREAT impact and look so lovely combined together. LOVE IT! TFS! *sigh* there's something so dreamy about your creations, Ivana!